Make a biconditional statement from a given definition using word tiles. Use both symbolic form and standard English form. The students really liked this Gizmo. 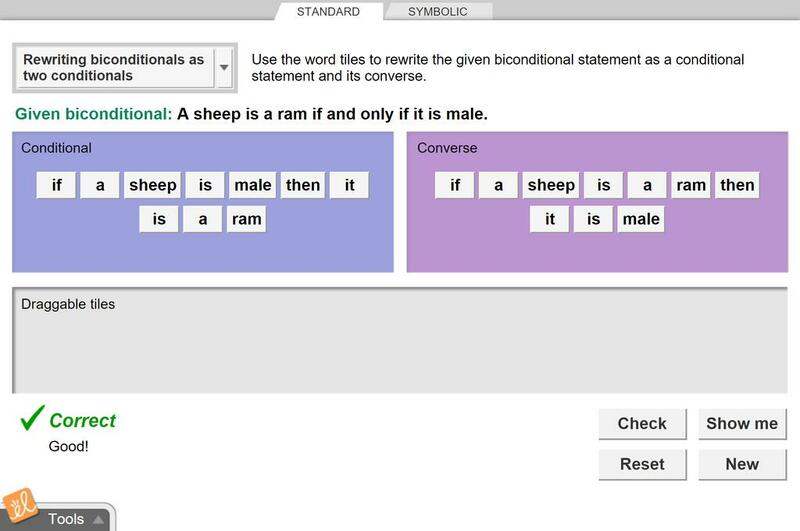 It helped them to write biconditional statements from a conditional and a converse.